Chimney sweeping and stove servicing are integral to maintaining a safe and effective stove and flue system and should be performed annually. If you have an open fire or a stove, we offer a Three-Year Service Agreement and invite you to participate in this awesome deal. Having your flue swept and stove serviced annually are essential jobs. Your household insurance will demand it. The service ensures that both systems are safe, effective and continue to be in good working order. Stoves: We have frequently seen other companies regularly neglect the stove meaning that the stove only gets addressed when it absolutely needs it! We intend to change that. The flue and stove work hand in hand. The Three-Year Service Agreement is designed to have many benefits. It ensures your system works safely and effectively, becomes a process you don’t have to worry about, saves you money, improves air quality, and helps to keep us busy performing our professional services at the service level you have come to expect. So if you would like to participate in this promotion simply fill out the contact form by clicking here and let us know that you are interested in the Three-Year Service Agreement. We’ll take care of the rest and organise a schedule that works for you. Just like a car, your flue and stove need to be maintained. The main reason for “chimney sweeping” is to prevent the build-up of soot and tar like substances that are waste products from combustion. These by-products are toxic and flammable and need removing. They can easily build up and cause blockages within your flue. In this instance, you are putting yourself, your family and friends in danger; you are risking the chance of having a chimney fire and Carbon Monoxide (CO) poisoning which could be fatal. 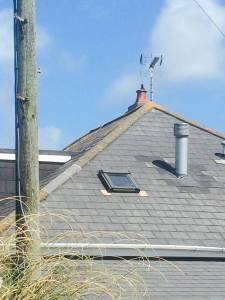 If we have not fitted your flue, you may not have a bird guard cowl that prevents birds from nesting and blocking your flue. Your stove should be cleaned and serviced to improve and maintain its longevity ensuring that it is working as well as it should be, and is still safe to use. We plan to keep your stove performing at it’s best and ensuring air quality is maintained. The Clean Air Strategy (Jan 2019) has laid out plans on improving air quality. This is one way we can help achieve it. Your household or building insurance will demand that your flue is swept at least once a year to ensure the policy remains valid. The same applies to preserve the warranty of your flue. The stove manufacturer also stipulates that under their warranty, the stove is serviced annually and it is used correctly. 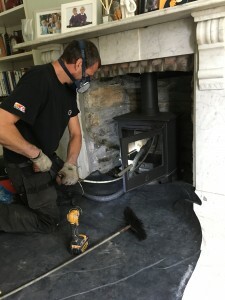 From our experience of sweeping countless flues and servicing stoves, we have found that the type of fuel you burn will help determine how much soot and ash will be produced in your stove and flue. Other wasted products will also be produced. The amount of these products produced differs considerably from one fuel to another. Soot is more harmful and toxic that ash. For example, you can use ash to clean your glass and even your hands. However, you wouldn’t want to use soot for this purpose. Soot is more solid and black in appearance. If your wood has high water content, the water can bind with the soot and create a tar-like substance called creosote. This can be sticky and crystal like. It sticks to flues and reduces the size of them making them a hazard. Furthermore, it can be very flammable. Thus this can help cause chimney fires. If you burn a poor quality smokeless fuel, the amount of ash & soot produced is incredible. Even a good quality smokeless fuel can produce copious amounts of ash and soot. On the other hand, if you use wood as your only fuel and it is very well seasoned (under 15% water content) the amount of soot and ash will be far less. The species of wood will also determine how much waste will be generated. 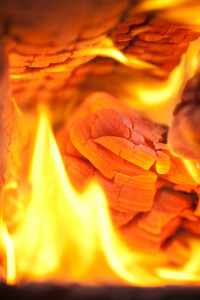 For instance – if you burn kiln-dried ash, you will hardly notice any waste in the bottom of your stove. It’s not all about choosing and using the correct fuel. Controlling the stove so that the fuel is burnt correctly is also fundamental and an essential tool to learn and use so that the life of your stove and flue can be prolonged. This also has a huge impact on air quality. Click on the links below for more “usefuel” information. Learning how to burn fuel correctly will ensure you get the most out of it – thus generating more heat and less waste, improving air quality. Smouldering a fire and/or banking it overnight is old school. These days are gone. We have learnt there are two ways to release heat from the fuel. One way is to actually burn the fuel so that the solid fuel upon combustion releases heat. This accounts for about 20% of the actual heat generated. The second way generates the majority of heat and is produced from burning the volatile gasses released from solid fuel. Modern stoves are manufactured in such a way whereby these gases are allowed to stay within the combustion chamber until they can be burnt and converted to heat. However, in order to achieve, and convert the gasses to heat – we need a flame. Consequently, when your stove is in use, you should always have a flame present. 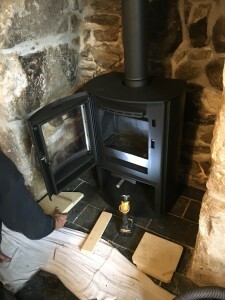 This will help ensure that your fuel is fully combusted, the heat output is high, a good draw is created, waste products are kept to a minimum and your stove and flue are maintained in the best possible condition. Don’t clog up your stove and flue – have a flame! Let the stove do its job, sit back and enjoy watching the flame dance away in your Blazing Burner. This should be self-explanatory. The more you use the stove, the more waste products you will produce. However as explained above, this will also depend on what fuel you use and how well you burn it. Once the heating season is finished – typically from spring into the summer months. Demand for sweeping is high in winter and you’ll likely have to wait for any sweep to be available. Our focus is on installations during the winter months. Don’t settle for second best and get Blazing Burners to sweep and service your flue and stove. There are many ways to sweep a flue. 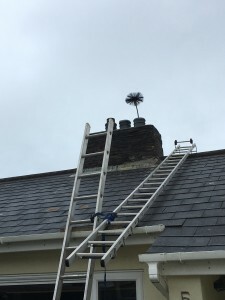 It’s not just a case of sticking a brush on the end of a rod and shoving it up there; nor is it all about finding the biggest brush that will fit your flue and vigorously moving it back and forth – this will likely tear your liner or damage your flue. There are different sizes and types of brushes and rods. 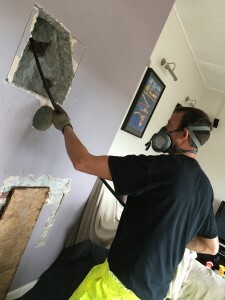 There are also different techniques that are used to effectively remove the waste products from your flue. Knowing what technique and what equipment should be used for your particular “sweep” will prevent damage to your flue. 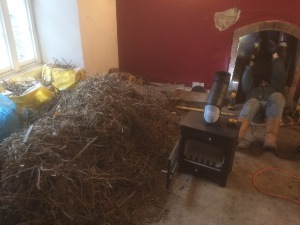 We use a traditional method of chimney sweeping, as we prefer to “feel” our brushes and any obstacles encountered. We prepare the fireplace using a combination of dustsheets and plastic sheets. We ensure the soot-fall and ash are contained within the flue and stove. However, if your flue has not been swept for quite some time, there may be a large amount of soot-fall or debris. We will always do our best within our capabilities to contain this. If you are concerned about your furniture and want to sheet this up as an extra precaution, please feel free to do so. We always carry excess dust-sheets with us if we think that your flue will be troublesome once we have started. On completion, all waste will be removed, put in a bin bag and placed it in your refuse bin outside ready for collection. 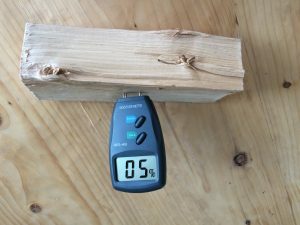 We’ll check your CO alarm and the moisture content of your wood to ensure is in order. We issue a certificate that details what we have done and any recommendations. We ask you to clear the fireplace including any ornaments on the hearth and mantelpiece so that we have clear access in which to work from. Except for a clean fireplace, you will not know we have been. If you have a stove, it should be serviced annually. It is an integral part of the flue system. This ensures it is safe and working correctly. When we visit new clients, we are aware that the flue has been swept regularly – but the stove has been completely neglected. We know stoves. This is our bread and butter. We install hundreds of them. Each installation involves taking them apart and putting them back together. We also know how to service them and if things aren’t right, we can make them right. Every year a stove should be completely disassembled, cleaned thoroughly, checked and maintained and then put back together. Spigots and blanking plates, rope seals, firebricks, handles and glass doors will all need checking. Any parts that need replacing and resealing are chargeable. We carry most stove materials with us. This allows us to perform the necessary repairs on the spot. Standard square and rectangular vermiculite bricks can be cut on site from a vermiculite sheet we carry. We also carry various types of fire-rope and have fire-cement, sealants and specialised cleaning products at hand. Therefore you should expect that your stove is re-sealed and the glass cleaned and brought back to life (depending on how dirty it is!). If your stove is black, we even re-paint it as part of the service. The flue is also swept. Your stove and flue system will be like new again. This is the Blazing service. And that is what you should expect! If your stove is a different colour other than black, we will order in your paint, charge you for it and then leave the paint with you for future services. If your stove has specific vermiculite bricks, and baffles, these will need ordering in. The same applies to damaged glass. Returning to fit these components will be charged accordingly and can be quoted for. If your flue system is a twin wall flue and is fitted to the side of your property, the brackets can also be checked. We recommend this be done every 3 years. This service is chargeable, as it will involve 2 people and ladder access. We will be able to quote for this depending upon your flue system. If your stove is not in use, the air vents should be left open to encourage airflow within the flue and stove preventing moisture build up and rusting. Most birds tend to build nests in April and will stay there for about 3-4 months, laying their eggs, and rearing their fledgelings, until they are ready to leave the nest. Possibly the largest bird nest we’ve come across – this was an accumulation of years of nesting. The flue was cleared ready for the ST2 multi-fuel stove you see. 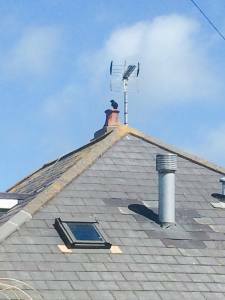 Specific to chimneys, Jackdaws are our biggest concern as they like to nest within a warm dry flue, which is typically about 3 metres down from the pot. You would know that they are starting to nest as you would notice twigs coming down the flue and you would be able to hear them chatting away. You would also be able to see their busy activity if you were to look outside as these master builders enter and exit your flue! A bird guard cowl made from quality stainless steel will continue to prevent birds from nesting in your live flue. The pictures to the left show a Jackdaw busy feeding its fledgelings having already made a nest. 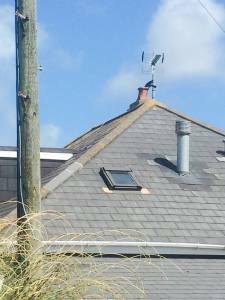 If you haven’t taken measures to fit a bird guard to your flue prior to them nesting, you would have to wait until the fledgelings have left the nest in July before being able to do anything about it (as per The Wildlife and Countryside Act – 1981). Only once the nest has been vacated are we then permitted to remove them. As Jackdaws are creatures of habit, they’ll return every year until you do something about it. If a jackdaw has been allowed to nest for consecutive years, the nest can be substantial and require some time to remove. Therefore following an initial call out or sweeping fee, removing bird nests is charged on an hourly rate. 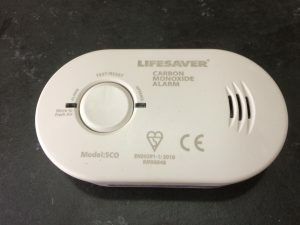 Carbon monoxide (CO) is known as a silent killer. It is odourless, invisible and deadly gas. CO can be released when burning fuel. If you have an open fire or a stove you should have a CO alarm fitted. The placement of the alarm is very specific. We can supply and properly fit CO alarms for £40.00. It might well be the best £40.00 you’ll ever spend! Our CO alarms conform to building regulations (ADJ 2010) and have a battery shelf life of 10 years. 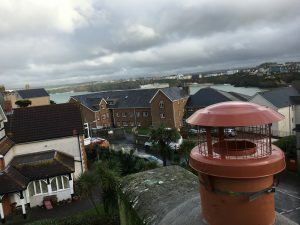 If you have a disused chimney and it is not capped properly, it will be allowing rain to enter and you will be losing an incredible amount of heat from your property. We can supply and fit a cowl that will blank off the unused flue yet allow a small amount of air to circulate within your flue thus preventing condensation and damp issues. We charge £60.00 for this service providing we can access your pot from ladders. If you have a “live” flue and are having issues such as bird nesting or down draught, you will likely need a specific cowl. In some cases, you might not even have a chimney pot. We can provide services to resolve your issues. The price will be dependent on what you require. We strongly suggest and advise you choose a cowl that is made from quality stainless steel and not the cheaper galvanised steel. We live by the sea and are subject to corrosion more so than inland areas. Please contact us here for more information.